Will Justin Timberlake Star In The Annie Remake? 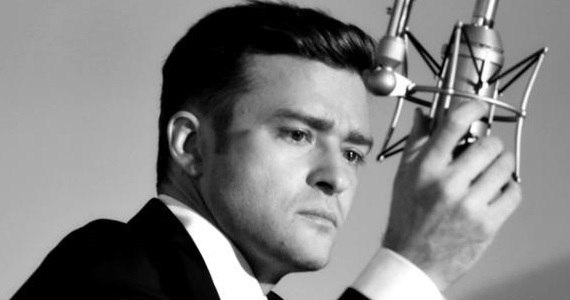 Justin Timberlake may be busy getting his “suit and tie” ready but the actor/singer is eager for more work. Though he just released his newest album this week, The 20/20 Experience, Timberlake is already looking ahead to future projects and according to The New York Post, he may lend his talents to the upcoming Annie remake. Rumours point to Timberlake eyeing the role of Daddy Warbucks. It would make sense too, seeing as he recently teamed with Jay-Z on his single “Suit & Tie” and as we all know, Jay-Z is a producer on Sony’s remake of Annie. Already set to take on the titular role is Quvenzhané Wallis but aside from that, we haven’t heard anything else on the Will Gluck-directed film, which makes this piece of news all the more exciting. Now, before we get ahead of ourselves, Sony reps are currently denying that this is true but take that as you will. We already have the Jay-Z connection and of course, Timberlake worked with Gluck on Friends With Benefits, which turned out to be quite successful. Lastly, Will Smith is a producer on this too and he’s also worked with JT in the past. So all things considered, I’d say this is true. Personally, I’m a big fan of Justin Timberlake the actor. Justin Timberlake the singer? Not so much. But Justin Timberlake the actor? Yes. He’s as charming and charismatic as they come and ever since his performance in The Social Network, I’ve been taking him seriously as an actor. And while I may not like his music, or at least not all of it, he is talented and he could definitely pull off a musical role like this. Either way, I’m sure we’ll hear more on this soon but in the meantime, tell us, what do you think of Justin Timberlake starring in Annie?